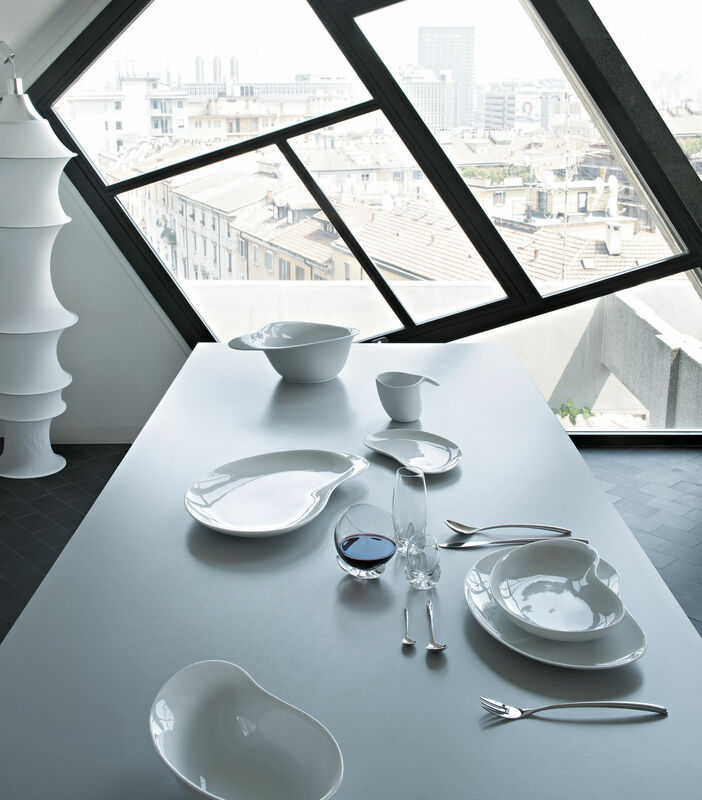 The "Bettina table set, certainly the most innovative of Alessi's projects in this area, required a long time to be completed. New glassware, new porcelain, new cutlery. Many drafts and sketches, and many prototypes were necessary to achieve an elegant and simple result that Jan Kaplicky conceived to be Designed for the future. More artistic. More beautiful. Maybe future classics, very much in line of other Future Systems architectural and design projects. The large flat plate has an functional aesthetic peculiarity : a protruding vein separates the plate's surface into two areas, the larger one for the main meal and the smaller one for the side dish. 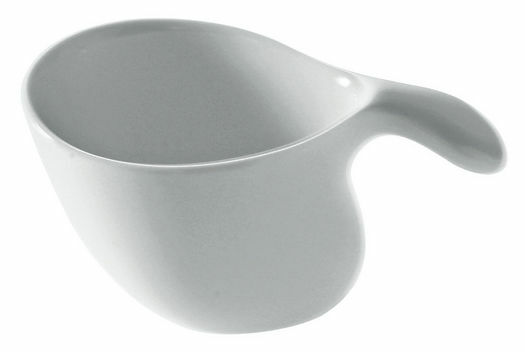 The soup plate has a shaped underrim which enables it to be positioned on the vein of the flat plate. The set includes plates, platters, bowls and cups (coffee, tea and mugs). The items are multifunctional: for example the saucer can be used for both the mocha cup and the tea cup, or can be used as a plate for a dessert or a side dish. The production material is thick porcelain, manufactured in such a way that the protruding handle continues to form the outer edge of the object and encourages a prehensile and sensual gestural expressiveness, as suggested by the formal needs of its creators. The packaging was also designed by Future Systems using the traditional graphics matched to their preferred colour on a white cardboard background.